Dhoom 4: There has been no official release date so far. The one pair is going to shoot for Dhoom 4. Which pair? Salman/Shahrukh Khan and Katrina Kaif. It would be exciting to see Salman playing the antagonist. A complete new role for him and for the audiences too. Katrina Kaif would be seen romancing Salman. Salman Khan was chilling out with his family in the Maldives when the news came in. Our gossip corner for the things to happen starts as soon as we hear our favorite movie or a TV serial coming. First, only rumors were out which were doubtful. But the confirmation has been clicked on Salman’s role as a villain in Dhoom4. You might be thinking that how can we be so sure about this? 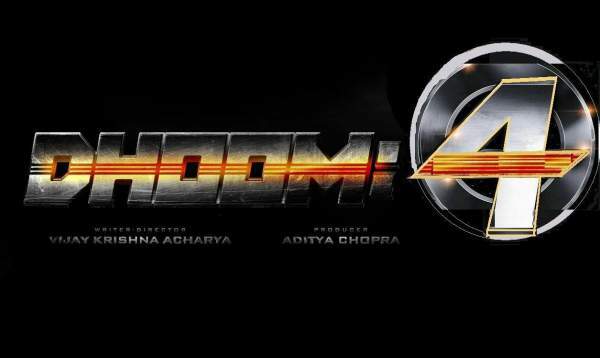 Update: In July 2018, YRF has clarified that there is no Dhoom 4 happening as of now. The premier production house has no plans for the speculated project. However, there are still rumors that it would go on the floors in 2020. In August 2018, a report from Filmfare.com claimed that the next project will be announced only after the release of YRF’s next Thugs of Hindustan. The same report claimed that SRK will play the antagonist instead of Salman. Actually, Salman was spotted studying the script of the movie. And the rumors got a surety stamp that they weren’t false. The film has been in making for a few years now. It is in a work-in-progress state. There have been rumors regarding the Dhoom 4 cast. But there wasn’t any confirmation for the roles till now. Romance would blossom when the Partner star will be joined with Katrina Kaif on the sets. With the part of Katrina Kaif also, we are sure. All the confirmation was clicked at the shooting of ‘Tiger Zinda Hain’ itself. Just the light has been thrown on the roles right now. Other star casts include Abhishek Bachchan and Uday Chopra who will be seen in their respective roles again. There will be few more additions to the cast. These new stars in the movie will add glitter to their respective roles. The on-screen couple has been chosen after seeing crackling chemistry at the TZH shoots in Austria. The team had been asking again and again from Salman Khan for their role. And by the time, Salman said a yes to them. Katrina was talked about her role promptly. What about the lead role in the film? Salman Khan has been reading the script. This shows that he’ll be catching the train for Dhoom 4 journey soon. He signed the film under the production of Yash Raj Films. Aamir Khan played the antagonist in the previous installment of the franchise, Dhoom 3. This was so exciting to watch. Now that there is a new participation, this would be exciting for the audience too. The movie seems to be magnificent and as a result, will surely find a place in the heart of audiences. Dhoom 4 is thought to make much better than before. Stay tuned to TheReporterTimes for more Dhoom 4 updates and Bollywood news. Previous articleTeen Wolf Season 7: MTV Series Canceled Or Renewed? Spin-off In Works?